All big cities are, when it comes down to it, the cluster of several smaller towns that have merged with the main area. Vigo is no exception: the enormous growth it experienced in the heat of the twentieth century industrialization caused the city to annex a large number of parishes that were once separated from downtown by meadows and crops, and that today are fully integrated into the urban area. Almost all of them retained their own special character, and one of the most proud of its past is Bouzas, which, in facr, was an independent council until a little over a century ago. The view from the sea of ​​the old Bouzas area quickly demonstrates its status as a town in its own right: low seafaring houses clinging to the ocean’s shore, an old bell tower presiding over the image… Until 1904 and after half a millennium of administrative independence, Bouzas was a distinct municipality, focused on the fishing industry and, considering the many bourgeois houses that are preserved around the church of San Miguel, a very prosperous one. It is precisely around this temple that Bouzas’ historical attractive is concentrated. The church of San Miguel has roots in the sixteenth century. Originally, it was located practically on the ocean shore and behind it the old parish grew. The seafaring houses that can be seen today while walking along the promenade are a reminder of a time when a large part of the city’s traditional fishing activities was centered here. The construction of the Vigo port and the subsequent expansions of the pier substantially changed the current perception of Bouzas, although the older streets between the sea and the Suarez Llanos square still retain that old flavour. And also a taste of the modern: many of the buildings that are still preserved, built between the nineteenth and the twentieth century, currently host catering establishments that happen to be among the best and most innovative bars in Vigo. The tapeo is a religion in Bouzas, and visitors can spend a fantastic day touring the urban beach, the streets and the terraces, tasting the more traditional proposals and, right next to them, contemporary recipes that very often triumph in regional competitions. In many of the establishments they will be happy to tell you the history of the place: ask and you will discover that, where there is a restaurant today, many years ago a carpenter worked or salt was stored to preserve sea products. It is also worth getting lost in the corridors of the food market or visiting the traditional shops, which endure in this place where, as its inhabitants say, one is in Vigo without being in Vigo. Bouzas also holds several markets that are among the most popular in the city. 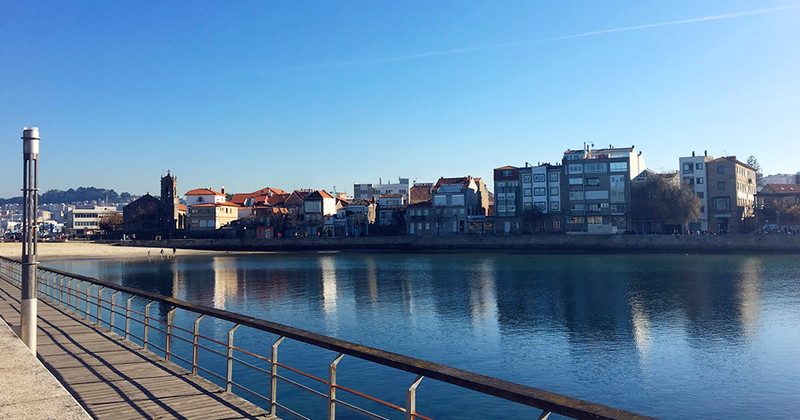 At first a neighbourhood of fishermen, later home to shipyards and industries, Bouzas also has the honour of having one of the oldest football teams in Galicia, the Club Rápido de Bouzas, already with a century of history behind it.